Waitiri Creek's ability to produce distinctive, character-filled premium wines has gained it fans across the world. From our silky, elegant yet assertive Waitiri Creek Pinot Noir to our BBQ friendly Drummer Pinot Noir and our versatile, luscious Pinot Gris, our wines are made for sharing. Riesling, Rose and Sauvignon Blanc are also produced in small quantities. 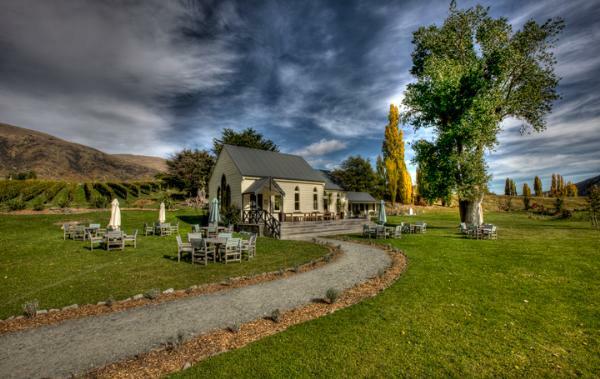 Visit Waitiri Creek for great wines, lively banter and a thoroughly memorable time. Beautifully restored church (1894) provides a tranquil oasis to enjoy premium single vineyard/ craft beers and artisan cheese. Wide open vistas with cricket oval and all weather wicket. Family and dog friendly.